Piracci's Landscaping is a licensed landscape contractor in Tennessee with numerous completed projects. We handle all landscape improvement tasks, such as design, installation, and lawn care. Our past projects include some of the most awesome and stunning properties in Doylestown, Quakertown, Coopersburg, Bethlehem, Center Valley, Solebury, Harleysville, Perkasie, Tinicium, Pennsburg and Redhill, PA. We take pride in our exceptional attention to details, dedication to each task, and adherence to standards of excellence in landscape services. We are instrumental in transforming boring landscapes into stunning real estate that their owners are truly proud of. Call us now at 215-541-9202 and let us show you why we are the best landscape contractor to hire. Expert crews. Our peoples’ expertise can never be questioned. Each of our landscape personnel has undergone professional training and worked on numerous projects in the past. These make them fully knowledgeable about the different landscaping tasks that clients need help with. By hiring a landscape contractor with expert crews, you are always assured of outstanding workmanship. Complete tools and equipment. We have invested heavily in purchasing appropriate tools and equipment to perform all our tasks with ease and efficiency. From simple hand tools to maintain lawns to heavy equipment for landscape installation projects, we have them all. Certified. We are among the very few companies with industry certifications and accreditation, which means that we’re 100% legit and capable of handling all tasks related to landscaping. As a landscape contractor we value clients’ trust, which is why we strive hard to be fully accredited and certified by landscaping organizations. Competitive pricing. You don’t have to shell out large amount of money just to get our services. With our competitive pricing, you can enjoy professional landscaping services from one of PA’s finest contractors. We are versatile crews who can tackle practically all kinds of tasks related to landscape improvement and maintenance. We can create stunning landscape designs using CAD software and following your desired theme. 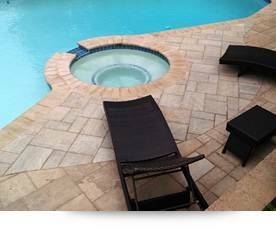 Also, we can install all your desired landscape features and amenities using only the finest materials and supplies available. Moreover, we can perform periodic or on-call maintenance tasks, such as mowing, mulching, sodding, trimming, pruning, and many others. We also offer consultation services if you need professional help with any landscape development and installation project that you need to complete with outstanding results. We’d be very happy to assist you in any way we can and use our decades of landscaping experience to make sure that you’ll get your desired results no matter what your landscaping concern is. Don’t waste any time and contact us today. Let us discuss your landscaping needs and allow us to offer the best solution possible. As a landscape contractor that has been doing business for many years, we guarantee you the best services at rates that will make you happy. Call us soon.